When I Became Aware was never finished; I have chosen to release 2 fully completed tracks from the record here, rather than let it disappear into even more additional obscurity. Knowledge comes in many forms, tied to many things. It is what we use to study the past, analyze the present, and predict the future. It also carries varying amounts of weight - not just to society as a whole, but also to individuals. That weight acts as a burden, in varying forms. For instance, a secret entrusted to a personal friend may not seem to be a burden to the world, but a secret kept from the world can weigh heavily on all of us, or even free us. Determining the weight of knowledge isn't something that we are capable of doing. The numerous factors that go into qualifying knowledge vary (and change) to such a great extent that we can only generalize, and compare. I have discovered something recently that carries a great, amazing weight to me. 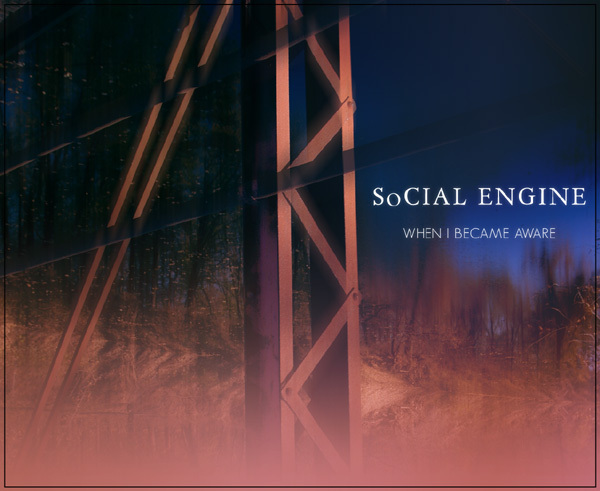 When I Became Aware is a predominantly instrumental Industrial/Neoclassical Fusion album blending modern industrial sounds with a sequenced orchestra and piano, much like previous Social Engine releases.